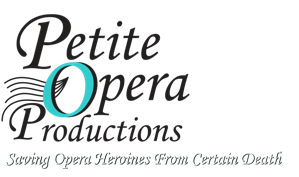 On June 21, 2009, Petite Opera Productions previewed its original comic opera parody, “Al Fresco: Life Through Opera-Colored Glasses”. Sponsored by Chicago’s Horner Park Advisory Council, the performance - part of its “Summer Concerts In The Parks” series - received rave reviews from its Ravenswood Manor Park audience. The performance served as an introduction to opera for many patrons. The comic framework of the production helped convert many patrons to opera lovers.